 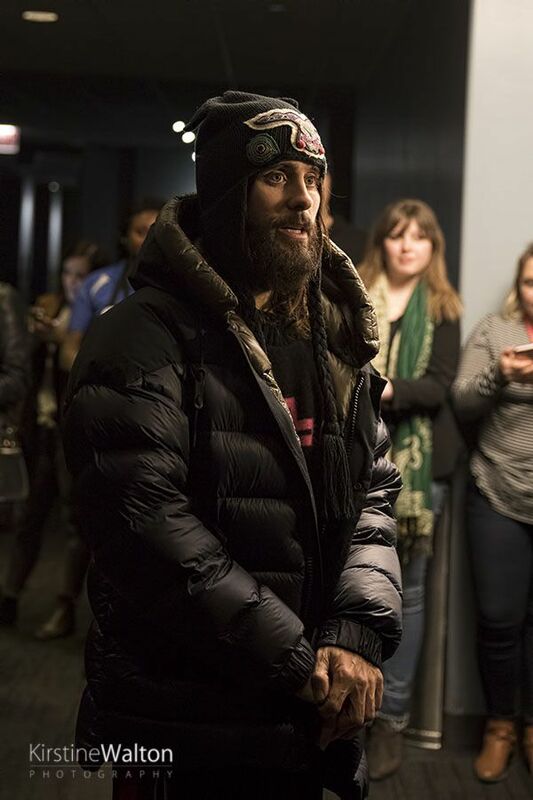 Jared Leto makes a stop at Chicago’s Willis Tower to promote the upcoming Thirty Seconds To Mars album. 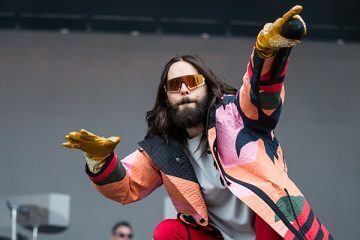 After five long years in the making, Thirty Seconds To Mars are releasing America on Friday, April 6. 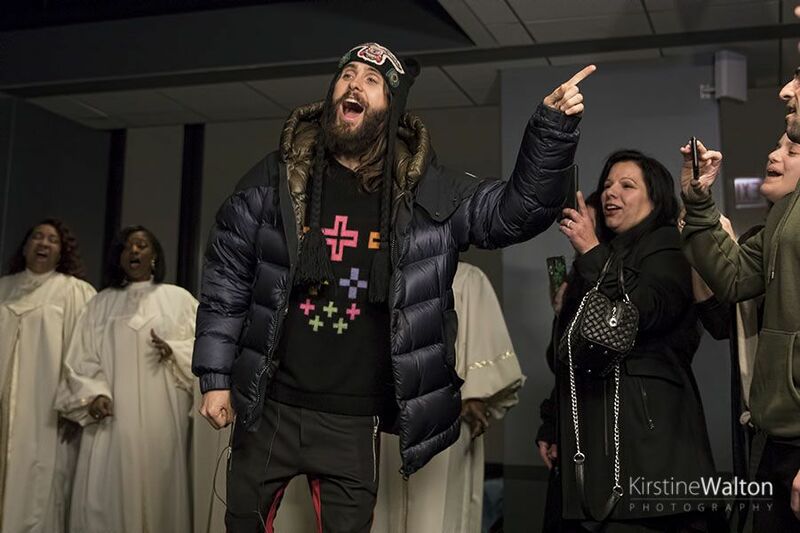 In celebration of this, Jared Leto is taking part in a cross-country journey, Mars Across America. 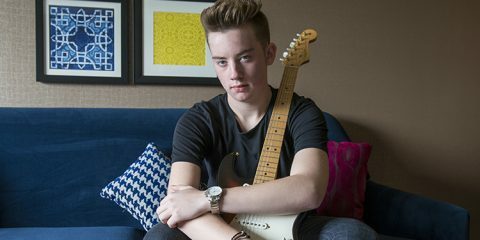 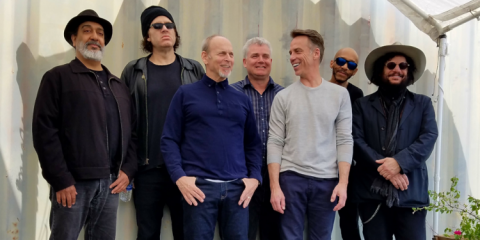 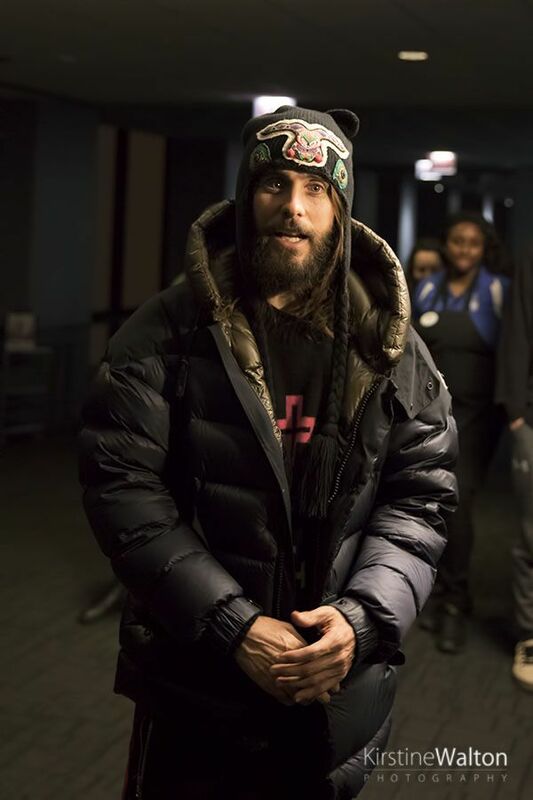 The journey began in New York on Monday, as he makes his way across the country by any means possible – trains, planes, hitchhiking and more. 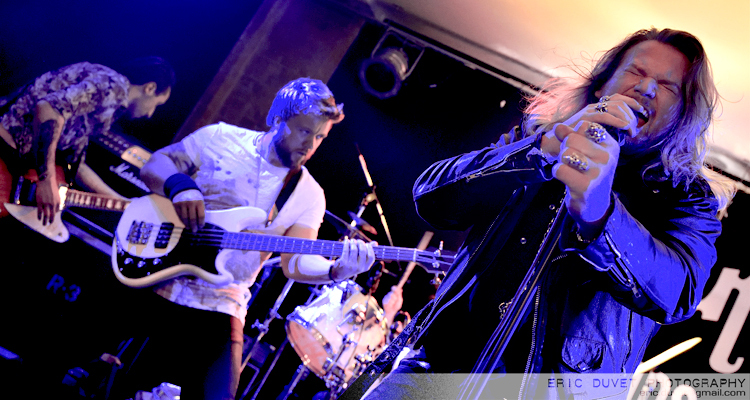 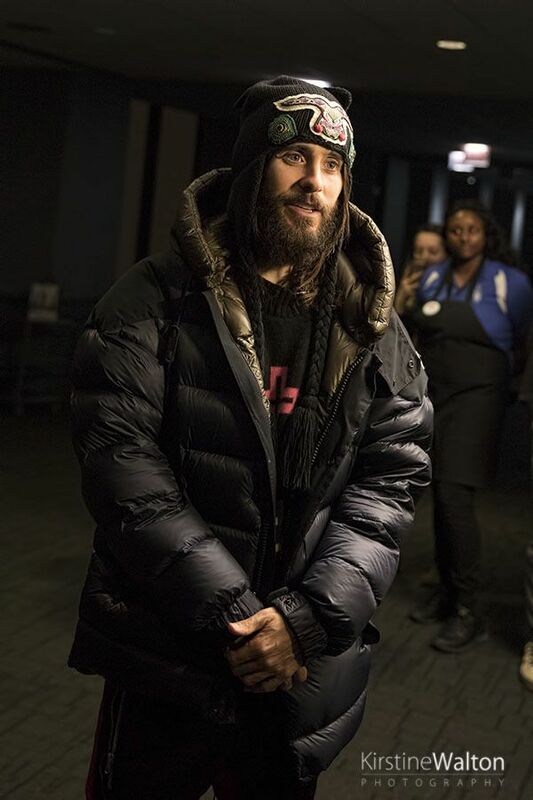 Throughout the journey, Leto will be stopping at many of the cities which will host their Monolith tour this summer. 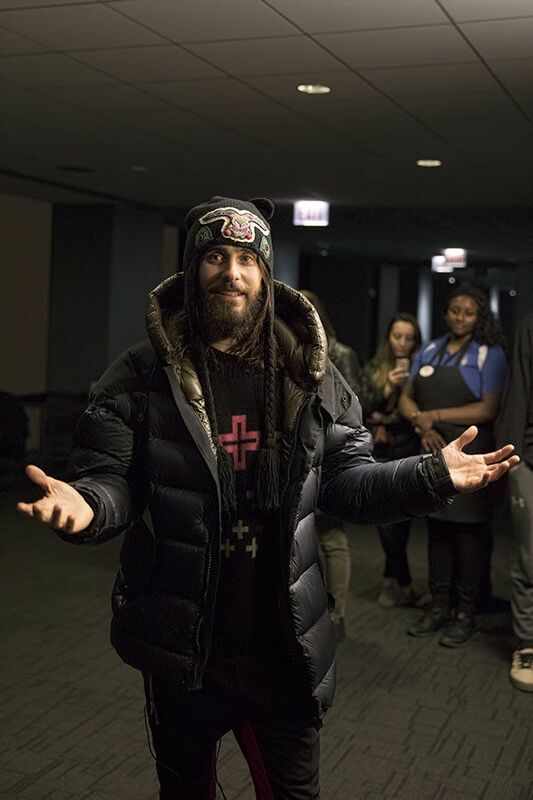 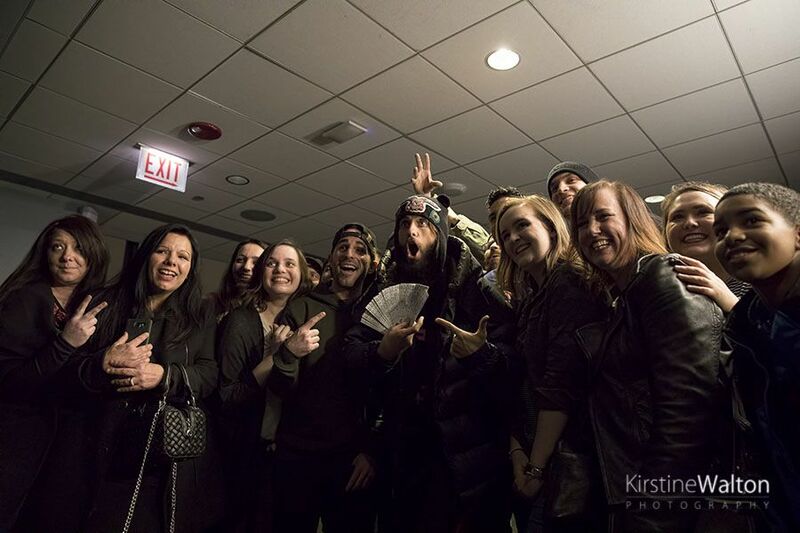 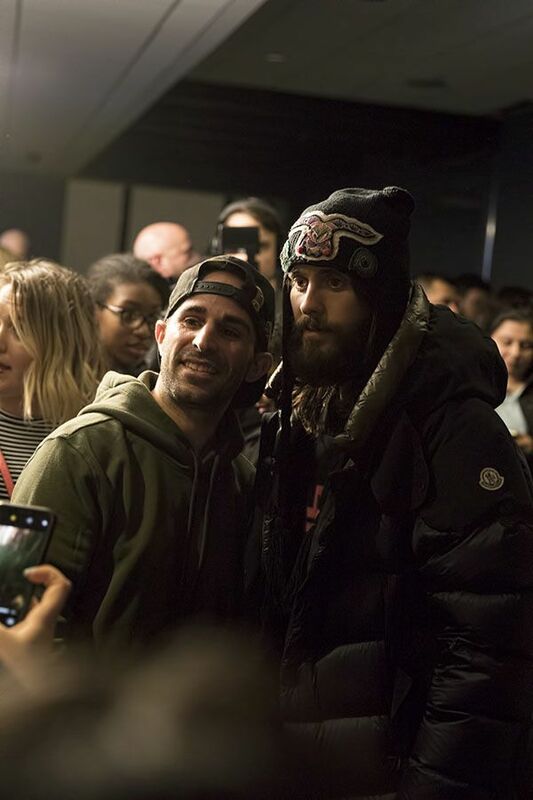 National Rock Review were invited to join a lucky group of 20 fans when Leto stopped by Willis Tower in Chicago as part of his venture. 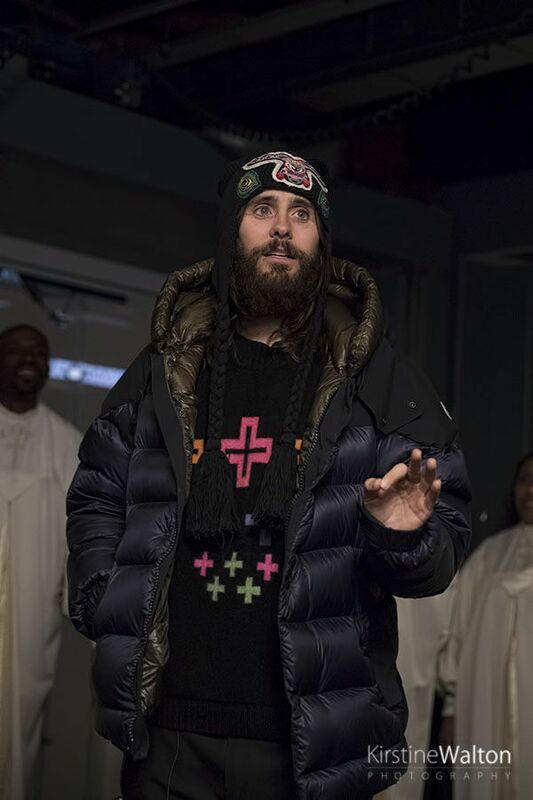 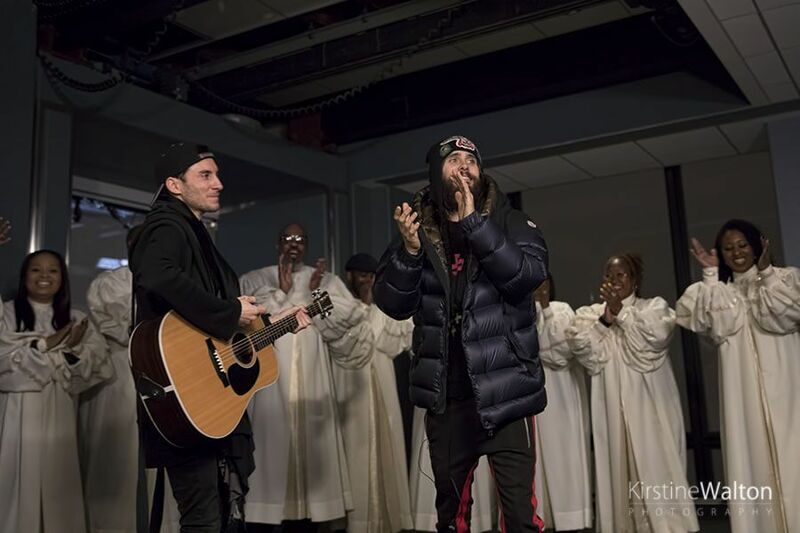 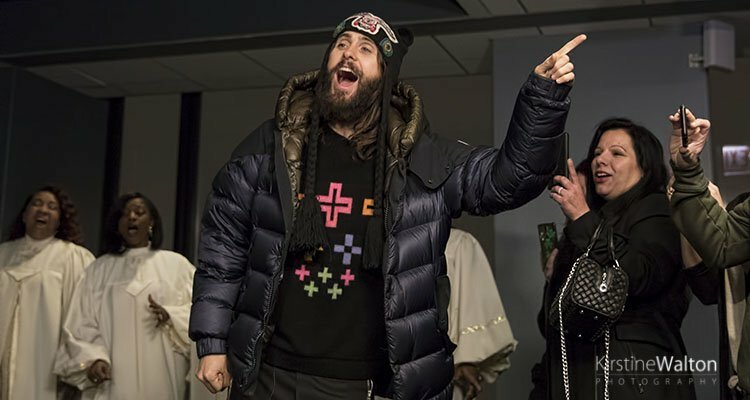 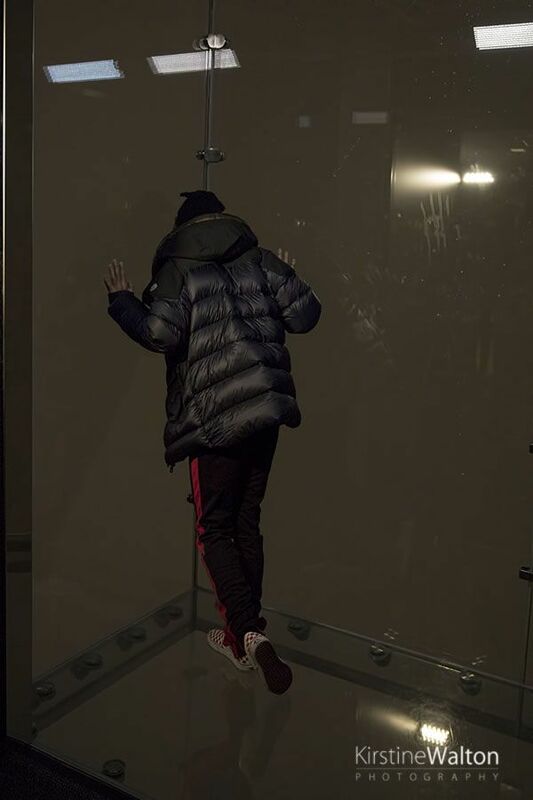 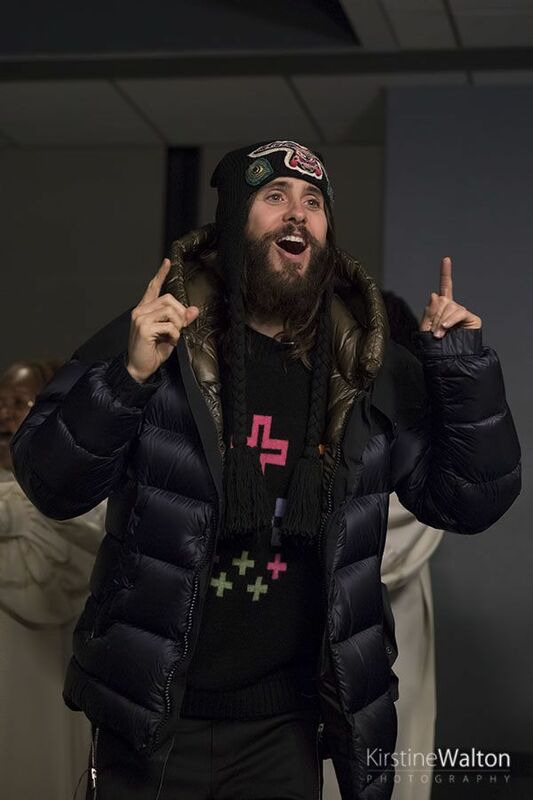 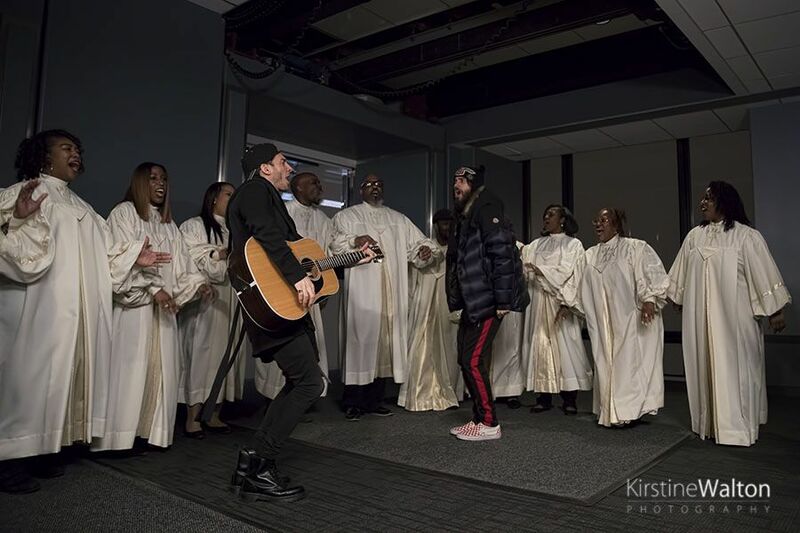 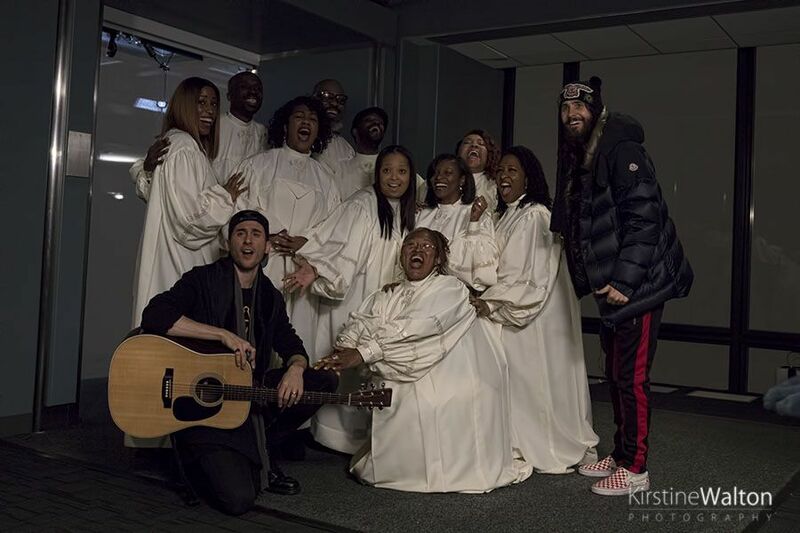 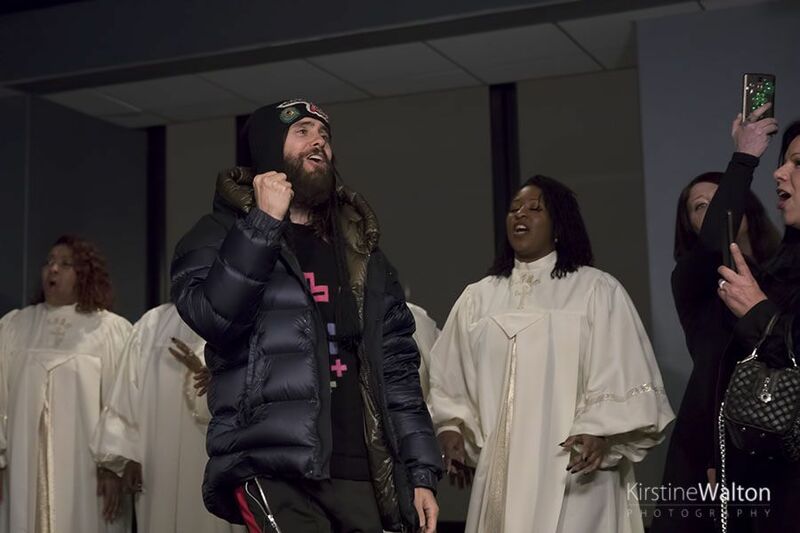 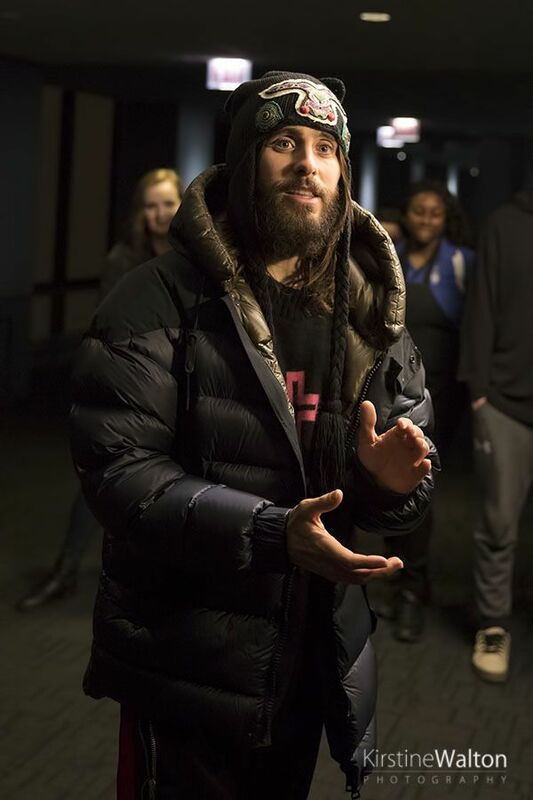 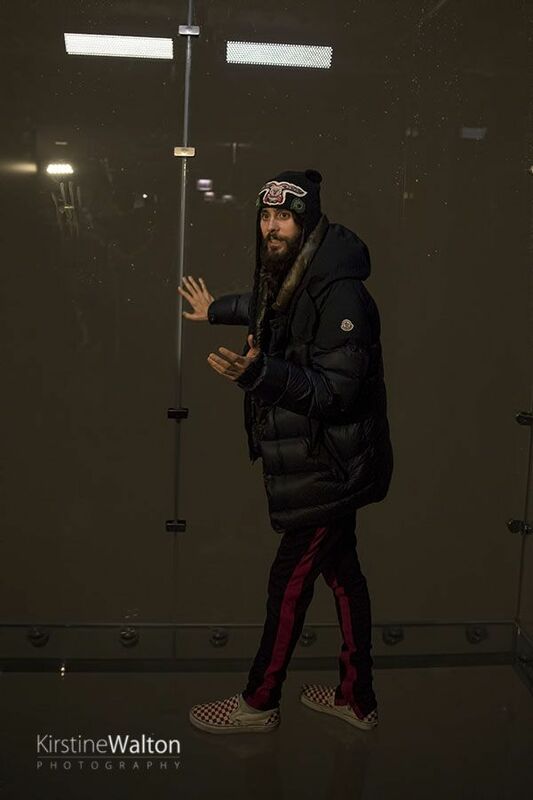 103 floors up, Leto was joined by the New Faith Baptist Church International choir from Matteson, IL, along with guitarist Stevie Aiello, for a rendition of their number one song, “Walk On Water” with additional vocals from the excited group of fans. 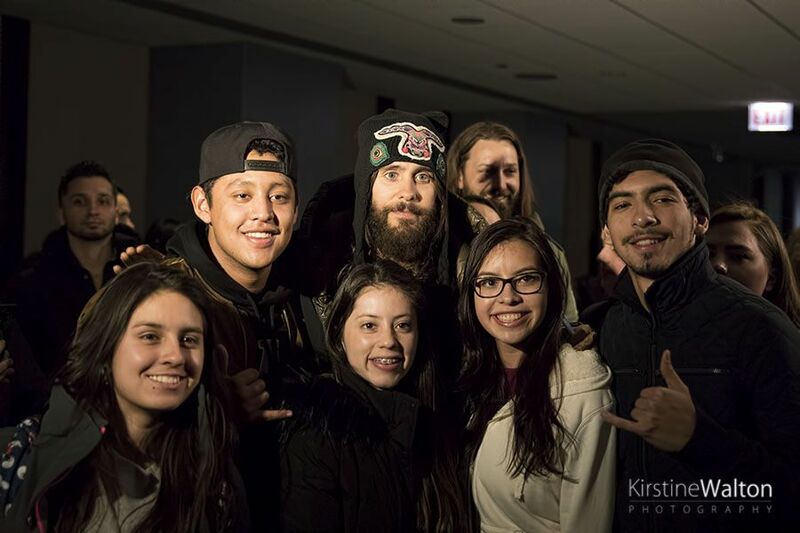 The stop was brief due to the extensive distance he had already covered, and was yet to cover, but he took the time to have his photograph taken with the group of fans, gave out tickets to their upcoming show, and also took a step out on the famous Skydeck’s Ledge, although the weather wasn’t cooperating with that on the visibility front. 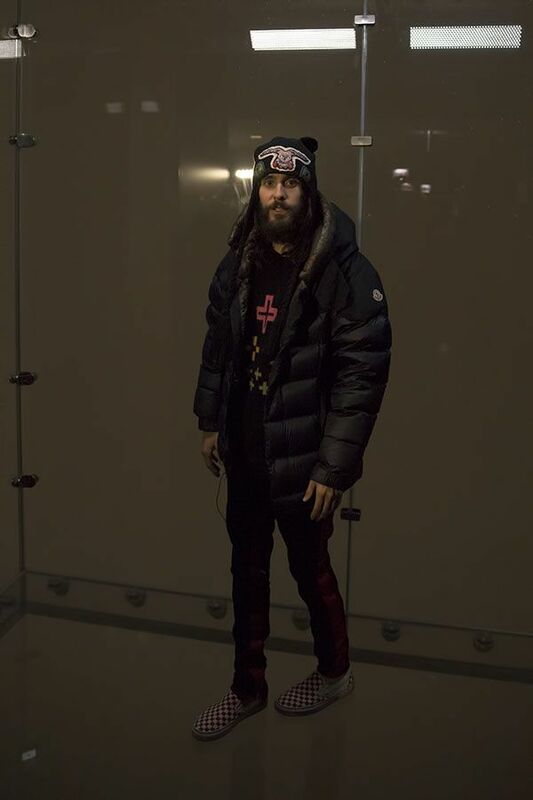 Leto’s journey continues until he reaches LA on Friday in time for the album launch. 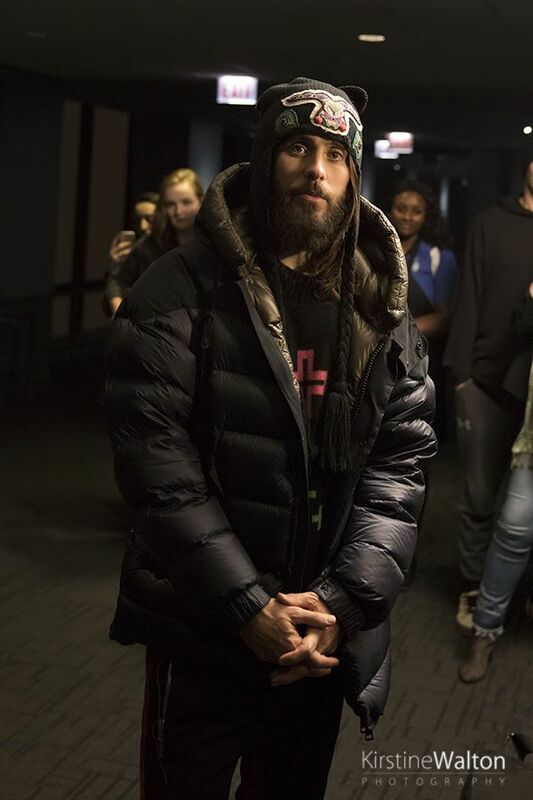 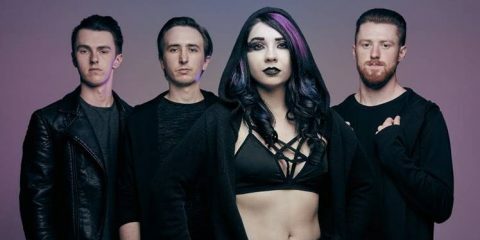 You can preorder America, which features tracks with the likes of Halsey and A$AP Rocky, by clicking here.